This paper examines with a somewhat critical eye the primary role that psychotherapy and other clinic-based services currently play in addressing the mental health needs of political refugees in the industrialized countries. Two factors are considered which suggest that refugee mental health needs might be better served by complementing clinic-based treatments with a variety of community-based interventions. The first factor concerns the pervasiveness of psychological distress within refugee communities, coupled with the reluctance of many refugees to utilize formal psychological and psychiatric services. This calls into question both the adequacy and appropriateness of clinical-based services as cornerstones of our response to the mental health needs of refugees. More precisely, it suggests the need to complement such services with a variety of culturally grounded, community-based strategies that do not require attendance in formal mental health settings. Second, recent findings have shown consistently that a considerable amount of the distress reported by refugees is related not to prior exposure to violent events, but to a constellation of exile-related stressors such as the loss of one's community and social network, the loss of important life projects, changes in socioeconomic status and related concerns about economic survival, the loss of meaningful structure and activity in daily life, and the loss of meaningful social roles. 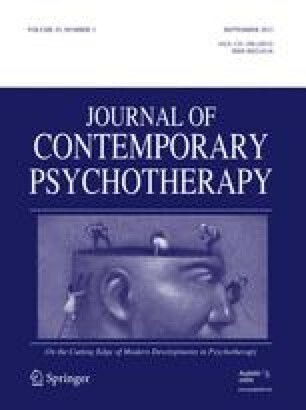 It is suggested that while psychotherapy can play an important adjunctive role in helping people confront these exile-related stressors, they may most effectively be addressed through targeted community-based interventions. Examples of such community-based approaches are briefly described, and suggestions are offered for community-level strategies that might be explored. The paper concludes by emphasizing the complementary nature of clinical and community-based programs, and by suggesting that psychotherapy might best be conceptualized as one component of a more comprehensive approach to addressing the mental health needs of refugee communities.